one of the government departments, particularly the one related to administrative reforms, can be such a slow-mover when communications through internet and social media have been high on agenda of Modi-led NDA government. The only new item in the site is the text of the PM’s speech delivered on the Civil Services Day this year. But if you click on the section called “Awards”, you will notice two options: First, Prime Minister’s Awards for Excellence in Public Administration and then National Awards on e-Governance. 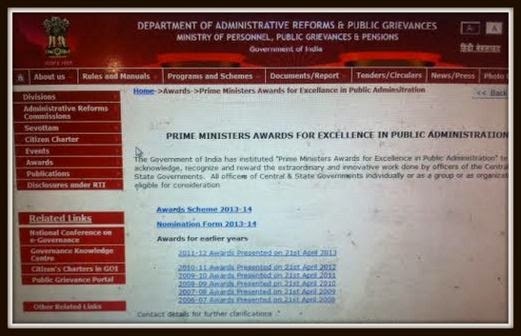 Then, if you go into the PM’s Awards section, you will find the names of the awardees for 2011-12, presented in April 2013. By the way, these awards were not given last year because the Civil Services Day (April 21) fell in the middle of the general election process. This year, awards for both the years, 2012-13 and 2013-14, were given together. The government site has all the details of the awardees from 2005-06 to 2012-13, but the winners of the last two years are missing. You can, however, see the photos of some of the winners in the Press Information Bureau site, but the captions therein don’t tell who they are! DARPG comes under the ministry of personnel, public grievances and pensions which is under the direct control of the Prime Minister. 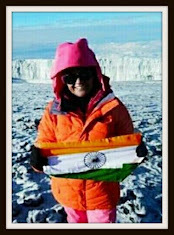 Jitendra Singh is the Minister of State. Significantly, the PMO website is one of the most dynamic websites where events are updated on a fast-track mode. It’s also linked to Twitter and Facebook where PM often breaks major news.